For persons seeking career opportunities in allied healthcare, a phlebotomy technician certification provides you ample opportunities capitalize on a long-term high-demand career opportunity in Connecticut. The healthcare industry is going through an unprecedented expansion phase. 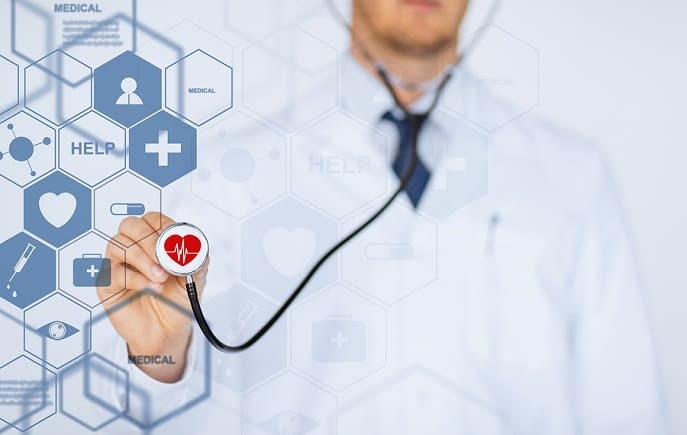 Longer lifespan, widespread availability of medical facilities and life-saving drugs, progress in biosciences, increased general awareness regarding health and fitness, high rate of lifestyle and terminal diseases; all these factors have increased the demand for modern, efficient and humanized healthcare. A career in healthcare is lucrative due to many reasons. The money is good, the recognition is high, and there is a direct sense of satisfaction and fulfillment of duty towards humanity at large. However, long duration of study, high level of commitment and huge investment; deters most students from directly pursuing a career in healthcare. An allied healthcare career as a phlebotomy technician is a good choice for someone who desires to work in healthcare and is either unable or does not desire to invest huge amounts of time and money into education. With the advent of biosciences, phlebotomy has emerged as the most important procedure required by doctors for diagnosis of patients’ ailments and various other medical tests and procedures. Phlebotomy technicians are always up on their feet, providing runtime support at healthcare centers to doctors, physicians, surgeons, laboratory technicians and nurses. They help in maintaining an efficient and systematic process during medical checkups, procedures, and also during operations. Their work provides the accurate basis for doctors to provide the patient with the best medical care, treatment and recovery from illness. Due to the inevitable use of blood testing in the healthcare industry, phlebotomy has emerged a highly significant tool to accurately diagnose and treat illnesses. Whether the doctor requires diagnosis of infection or finding the blood group of the patient, or wants to test vital statistics related to health, the support of a phlebotomist is essential. This continuously increases the demand for phlebotomists. The increased demand with higher efficiency standards, competition between healthcare institutions, and strict legal standards, has increased the demand for pre-trained phlebotomists. With basic commitment to learning and training, phlebotomy can be picked up easily at schools which provide focused phlebotomy training programs. While a phlebotomy training certification is not compulsory, it can definitely add value to the phlebotomists’ CV and make it more lucrative for positions in larger or specialized institutions, make them eligible for higher pay, and for on-job promotions. These days, most phlebotomists attend a phlebotomy training school and immediately start employment; and later add a certification to increase their professional worth and employability. A good phlebotomy training program provides the basic educational and practical framework for the candidate to appear for certification exams in the future. Phlebotomy certification can be obtained from any of the following 3 agencies recognized in the USA for this purpose: (1) The National Center for Competency Testing (NCCT); (2) The American Society for Clinical Pathology (ASCP) and; (3) The American Medical Technologists (AMT).